In a cooperative industry project, CBA will provide Christian stores the ability to sell products online with in-store customer pick-up. The "Get It Local Today" program, scheduled to launch this year, offers retailers without advanced online capabilities a way to show store inventory and sell or reserve the product online for customers' in-store pick-up. Using technology pioneered by the Covenant Group, the project enables publishers, suppliers and authors to refer their website visitors to buy from local Christian stores for immediate pick-up or to order online for drop-shipping. This gives publishers and suppliers an alternative to refer website buyers to Christian stores, not only to Amazon or big-box retailers. Supplier-website referrals can be directed to specific Get It Local Today product pages for purchase through any local Christian store listed on the website. CBA's store-locator site, christianstores.org, also will refer store searches and website visits to local stores for purchase. The site was recently relaunched with consumer-oriented content focusing on consumer needs. It offers personality profiles and interviews, new product releases, independent product reviews, best-seller lists and more. The Get It Local Today e-commerce engine will power the site. The website repurposes content from CBA's Christian MARKET monthly magazine and other media in a content-marketing strategy to be part of consumers' new "purchasing journeys" to find resources, solve life problems and learn about new Christian content. Christianstores.org includes a "Life Helps" topical listing to recommend best-selling resources for life issues, such as grief, marriage and addictions. The list is used with permission from Books That Change Lives, CLC Publications. Eventually these "retailer-recommended" listings will link to individual pages for local purchase. An added retailer feature is the use of "post-sale credit" technology from The Parable Group. This will enable participating retailers to redeem sale and promotional credits in an automated way from publishers and suppliers for products sold on Get It Local Today. Retailers earn most of the margin on products sold through the website, giving them financial incentives to participate. "We want to create a way for the entire industry to connect to customers and bring them into Christian stores," said CBA President Curtis Riskey. "Store traffic will never be the way it once was because of the Internet and e-commerce, but brick-and-mortar retailers still have the advantage if they can connect to customers the way they are shopping today." Connecting individual store inventory for specific products on the website is critical. "This is essential," Riskey said, pointing to iQmetrix research that says consumers are 73 percent more likely to visit a store if they can see in-store inventory online. "The research also reported that 75 percent of consumers expect online ordering to also offer in-store pick-up," Riskey said. He said participating retailers should enroll in CBA's free CROSS:SCAN data-reporting service to automate inventory reporting. CROSS:SCAN inventory data will be fed to the site so customers can see individual on-hand inventory and have confidence product will be in the store when they get there. Chuck Wallington, head of the Covenant Group and president of Christian Supply in Spartanburg, South Carolina, said the project could not happen without the cooperation and collaboration from numerous industry partners. "It's more important now than ever before in our industry's history for us to work together across the industry-retailer to retailer, and retailer to supplier-to leverage the assets we have together for the benefit of both our industry and the future effective distribution of the products we all cherish," Wallington said. The website will list all Christian stores for which CBA has complete records, but stores with reported in-stock inventory will be listed with priority highlighting. Stores without inventory may be listed, but the selection will be grayed out because inventory status is unknown. The site also will be a good source for frontline product knowledge on new releases with information, reviews and editorial highlights. "All of retailing is going through challenging times, even though research shows that 85 percent of retail sales will still be through brick-and-mortar stores through the foreseeable future," Riskey said. "Being able to provide a compelling in-store experience plus offering the convenience and speed of ordering online are a winning combination in the new retailing world." CBA’s Unite 2017 drew show attendees to a Duke Energy Center ballroom for the “Envision the Legacy” banquet Thursday night. The event featured the ministry of Christian illusionists Rod Robison and Adrian Van Vactor. Their book, Unmasking the Masquerade (Encourage Publishing), written with illusionist Toby Travis, was given to attendees that evening, and they held a book signing after the event. Fortune 50 business leader Terence Chatmon also spoke on the importance of instituting a spiritual leadership plan for the family. Chatmon, who worked for Johnson & Johnson, Citibank and Coca Cola, is now president and CEO of Fellowship of Companies for Christ International. His debut book, Do Your Children Believe? (Thomas Nelson), demonstrates the importance of being purposeful about leaving a spiritual legacy in the family. CBA President Curtis Riskey, board chair Sue Smith and retailer and board member Vicki Geist presented five awards during the event. CBA’s Lifetime Achievement Award was given posthumously to Dan Hobson, gift pioneer and Carpentree founder. Hobson’s wife, GInny, who is vice president of Carpentree, and their son, Jordan, vice president of sales at the company, received the award. The association presented the International Lifetime Achievement Award to Chris Johnsen, who is from South Africa, and founded Christian Art Distributors and Christian Art Gifts. Christian Art Gifts Hong Kong also was established in 2016. CBA honored HarperCollins Christian Publishing (HCCP) with the Industry Champion Award. Presented to Senior Vice President Tom Knight for the company, the award was given to commemorate HCCP’s support of the independent Christian retailer. CBA presented the Ministry in Action award to the Tyndale House Foundation. Mark Taylor, president and CEO of the foundation and of Tyndale House Publishers, was honored to receive the award, which was given, in large part, because of Tyndale’s work with Oasis International on the Africa Study Bible. Retailers Bill and Ila Ballou, owners of Solid Rock in Kearney, Nebraska, were also honored for their work in the store and community. They were on hand to receive the Jim Carlson Spirit of Excellence Award. CBA's Unite show hosted some of 2017's most exciting Christian films. Though this year's convention eschewed the major screenings and premieres of past shows, Christian filmmakers, TV producers and broadcasters found ways to make their presence known. The biggest Christian movie on the horizon is Because of Grácia. The Christian romance, distributed by ArtAffects Entertainment, releases in select theaters Sept. 15. SERV OTHERS' co-owner Rodney Hatfield, who executive-produced Because of Grácia with his wife, Angel, said the film presents a Christian perspective on important issues facing teens. "We hope that it sparks a conversation, conversations between [teenage] peers, teens and their church leaders, and more importantly teens and their parents," Hatfield said. "That's the whole goal of the film. The film itself touches on some great topics. It talks about pro-life. It talks about dating, and the approach of going from 'Let's be best friends first and then later date,' instead of just jumping into dating. ... It's also about kids finding their voice within a public [school] system and dealing with some of the other issues they face like bullying and the evolution debate." Retailers can expect curriculum and a film novelization to come to market as the film's release date nears. Edify Films' Elliot Wallach showed off a new innovation that ties together the Christian coloring book and film markets. Wallach debuted the When Calls the Heart app, which used groundbreaking technology to scan the film's official coloring book and instantly pull up the original frame. Edify is working on integrating this technology with other coloring books, including one called Colors of the Bible. Wallach says he was inspired to raise the bar for Christian products. He wants to see the industry innovate, not chase secular trends. "My conviction is, as Christians, we should do it better," Wallach said. "Everybody's like, 'Support it because it's Christian.' I say it needs to be better because it's Christian. Support it because it's better because it's Christian." 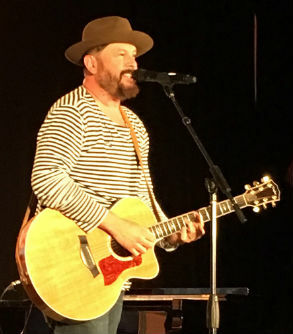 He said this year's convention has been a good way to get out the word about Edify products, especially now that the Christian film market has become more defined. But like many, Wallach lamented the smaller turnout at the show in Cincinnati. "[The show is] clearly smaller," Wallach said. "I think so far for us it's a good way for us to get the word out about things. I've been going to the show since roughly 2003--I think that was my first show. So to watch it shrink so much, it's unfortunate." On the other hand, Urim Books USA's Ted Sim said he enjoyed the smaller venue. The smaller area gave the publisher more opportunities to show off its Global Christian Network channel. "I really like how [CBA] changed the room and the setup," Sim said. "I've never seen this room before, but it's nice, and it feels regal and fancy. ... I feel like everything's more accessible." One of 2017's early breakouts was the documentary Is Genesis History?, which sold out one-day screenings nationwide and ranked No. 1 at the box office in February. The film released earlier this year on DVD and Blu-ray, but Thomas Purifoy Jr., director and producer, said retailers will still see plenty of new film merchandise releasing this year through a partnership with Spring Arbor. "Right now there's a DVD and Blu-ray, but we're also going to have three sets—so three three-disc sets—of 20-minute segments ... ," Purifoy said. "So what we'll do is we'll have a series on the rocks and fossils, we'll have a series on life and design, and we'll have a series on the Bible and the stars. That's a whole three sets that'll be coming out over the next six months. It just takes a while to edit these. This summer, we'll have a Bible study series coming out." Pastor Victor Torres was also at the show, doing publicity for the new faith-based film based on his life. Victor, created by GW Films and Spiral Films and distributed by Ocean Avenue Entertainment, tells how Torres became embroiled in drug abuse and gang life after moving to the United States, but the prayers of his mother led him to salvation. Torres, who founded the ministry New Life for Youth, hopes people can find hope in the film. "Hope is the theme of the movie," Torres said. "That's what I see, and that's what I personally pray for, that the movie would bring this message of diehard hope, not just simple hope, but a hope that never gives up, because that's the hope my mother portrays in the movie." Victor recently released on DVD, and customers are already praising the film that is helping to transform lives. "Families are being reached," Torres said. "Young men and women are coming because of the movie. They say, 'If God did it for Victor, he can do it for me.'" CBA had announced the hiring of a film commissioner earlier in the year and planned to have a film symposium at Unite, but CBA President Curtis Riskey told Christian Retailing the association decided to end the partnership early on and look for better ways to serve Christian retailers in the growing entertainment category. CLC executive Dave Almack believes strongly in the Christian retail store, but that doesn’t mean business as usual. Almack led a workshop at Unite based on his recently released book for retailers, The Bookstore That Matters (FaithLit Publications). Now regional director, North America and the Caribbean, Almack is a missionary with CLC. He is so committed to Christian retail he noted that he actually raises his own financial support to be part of its mission and business. Almack showed participants that it is possible to be financially successful in Christian retail. Through a series of “miracles and mistakes,” he said, his urban Philadelphia store grew from $300,000 in sales to $1.3 million in an extremely competitive environment. One of those miracles was when Kirk Franklin showed up unexpectedly at his store during a midnight release party of his album. He pointed out that books are “not dead” and said there are “incredible Facebook communities” who are engaged with reading. Christian retailers must tap into these groups of readers. At another location at Duke Energy Center, industry veteran Michelle Amster and Carpentree Marketing Manager Sherry Morris led a workshop on merchandising and store design. The theme of the presentation was “Think outside the box,” epitomized by Amster urging participants to see potential design elements in every facet of day-to-day life. During the presentation, Morris put together a sample display using the design principles explained in the workshop. The pair gave guidelines for props. Amster also encouraged participants to strongly consider attending the Atlanta International Gift Home Furnishings Market at least every other year. Without the AmericasMart Atlanta show, she said, it would be difficult for retailers to stay on top of gift trends. To supplement that market, Amster and Morris recommended using Pinterest to cultivate fresh design, gift and store layout ideas. And The Friedman Group’s Wendi Swanson led a workshop on improving customer satisfaction. Early on, she discarded the term “customer service” and suggested replacing that phrase with “customer experience.” She used case studies from Sheels and Bata to demonstrate the power of putting the customer first. Swanson recommended better employee training and accountability, and she said that managers need to clearly articulate the vision of the store and acceptable behavior for employees. In her opinion, the human touch is brick-and-mortar’s only major advantage over online competitors. She also supplied workshop attendees with simple ways to improve their store’s customer service, from handwritten thank-you notes to events tailored to the store’s existing or target audience. Jerry Kregel, executive vice president of publishing, Kregel Publications, and Dan Balow, president and publisher of Gilead Publishing, announce the fall publication of the 50th Anniversary Edition of the 10 million–copy, best-selling novel Christy by Catherine Marshall. The commemorative edition of Christy will also be the inaugural release by a new cooperative venture uniting Gilead and Kregel. Gilead, a newly formed company providing quality Christian fiction for a broad range of readers, is partnering with Kregel, which will exclusively produce, promote, distribute and sell the Gilead line. Kregel believes in the value of this partnership. 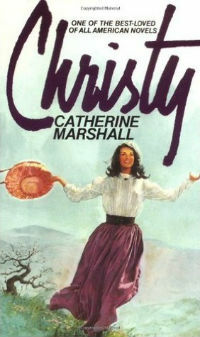 Christy was first published in 1967 and by August 1968 had become a very early Christian entry into the rarified world of national best sellers. The 50th Anniversary Edition of the title will commemorate the year that set new records for Christian publishing. Format and release details will be announced soon. Advanced Writers and Speakers Association (AWSA) announced the winners of the 2017 Golden Scroll Awards on Tuesday, June 27, at the Golden Scroll Banquet at the Hilton Plaza Hotel in Cincinnati. Kregel Publishers won the Golden Scroll Publisher of the Year Award, which honors outstanding ministry partnerships between a publisher and its authors. Letitia Suk, an AWSA author, praised Kregel. “I’m proud to have Kregel’s name on my book and so grateful for their support and investment in me,” Suk said. Stephen Barcliff won the Golden Scroll Nonfiction Editor of the Year Award. Suk also spoke of her respect for Barcliff. “Steve is sharp and smart about business but always has time for his authors,” Suk said. Pelican Book Group’s Lisa McCaskill won the Fiction Editor of the Year award. AWSA author Robin Bayne praised McCaskill. The Golden Scroll Nonfiction Book of the Year Award went to Lynn Eib for Peace in the Face of Cancer from Tyndale House Publishers. Golden Scroll Merit Awards for Nonfiction winners included Suk for Getaway With God: The Every Women’s Guide to Personal Retreat (Kregel Publications), Margot Starbuck for He Knows Your Name (Kregel) and Lucinda Secrest McDowell for Dwelling Places—Words to Live in Every Season (Abingdon Press). Silver Scroll Merit Awards for Nonfiction went to Edie Melson for While My Child is Away (Worthy Inspired), Starbuck for Overplayed (Herald Press) and Joy Schneider for How to Keep Grief from Stealing Your Destiny (Water of Life Unlimited). Golden Scroll Merit Awards for Fiction winners included Martha Bolton for The Home Game (Faith Happenings Publishers), Lynette Eason for Without Warning (Revell/Baker Publishing Group) and Edie Melson for Alone (Prism Book Group). Silver Scroll Merit Awards for Fiction went to DiAnn Mills for Deadly Encounter (Tyndale House Publishers), Marilyn Turk for The Gilded Curse (Heritage Beacon Fiction) and Lynette Eason for Moving Target (Revell/Baker). Crystal Bowman and Teri McKinley’s Our Daily Bread for Preschoolers (Discovery House) won the Golden Scroll Children’s Book of the Year. In a statement, the judges explained their rationale. “This is an excellent book for teaching children ages 6 to 10 more about God,” the panel said. The Golden Scroll Merit Award for Children’s Book of the Year went to Jeanne Dennis and Sheila Seifert for Bible Kid Adventures: Stories of Danger and Courage (Tyndale). AWSA’s official magazine, Leading Hearts, won its third straight Evangelical Press Association Merit award. The magazine honored its columnists, including Pam Farrel, Michelle S. Cox, Rhonda Rhea, Penelope Carlevato, Saundra Dalton, Sharon Elliot, Kathy Collard Miller, Karen Porter and Cynthia Simmons. Suzanne Kuhn was named the 2017 AWSA Member of the Year. AWSA founder Linda Evans Shepherd shared kind words about Kuhn. “Suzanne has so many hard-earned insights and gifts regarding building an author’s platform, and she never hesitates to share her knowledge with her AWSA sisters,” Shepherd said. 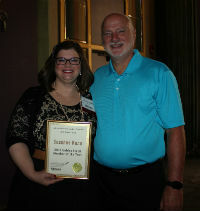 Medical professional Karynthia Phillips won the Beyond Me Award. Phillips not only works with women who have high-risk pregnancies in the prison population but also with women audiences through her mentoring, writing and speaking. Carol Kent served as the keynote speaker and recording artist Ginny Owens performed the special music. Kent received the prestigious 2017 Impact Award. “Carol has served the Lord through both tragedy and pain, and made such a difference for the cause of Christ,” Shepherd said. AWSA President Karen Porter served as emcee. Kent and Shepherd presented the awards, and Dennis performed a parody written by Bolton dedicated to editors and publishers. For more information, visit AWSA's official site. Eric Grimm, CBA’s director of communications, gave retailers plenty of reasons for optimism with CBA’s State of the Industry report. 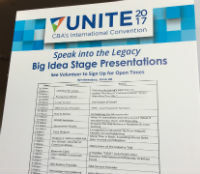 The briefing was held Wednesday at the Big Idea Stage at CBA’s Unite 2017 show. CBA’s State of the Industry is an annual survey conducted among Christian retailers, researching trends and their potential implications for the industry. Grimm said this year’s finding were consistent with prior years. CBA kicked off the Unite 2017 convention in Cincinnati with encouragement and inspiration. The Tuesday evening show opener, “Worship Him!”, drew a sparse crowd for the service that featured author Mary DeMuth (Harvest House Publishers) as the main speaker along with artists The Collingsworth Family (StowTown Records/Provident Distribution) and Ricardo Sanchez (Difference Media). In her opening remarks, Sue Smith, chair of CBA’s board of directors, acknowledged this reality but expressed optimism for both the show and the year ahead.